The FlightGear Preconfigured 6DoF Animation block lets you drive position and attitude values to a FlightGear flight simulator vehicle given double-precision values for longitude (l), latitude (μ), altitude (h), roll (ϕ), pitch (θ), and yaw (ψ), respectively. The block is configured as a sim viewing device. If you generate code for your model using Simulink® Coder™ and connect to the running target code using external mode simulation, Simulink software can obtain the data from the target on the fly and transmit position and attitude data to FlightGear. For more information, see Use C/C++ S-Functions as Sim Viewing Devices in External Mode (Simulink). This block does not produce deployable code. However, you can use it with Simulink Coder external mode as a sim viewing device. Longitude, latitude, altitude, roll, pitch, and yaw, in double-precision, specified as a vector. Units are degrees west/north for longitude and latitude, meters above mean sea level for altitude, and radians for attitude values. Select your FlightGear software version from the list. If you are using a FlightGear version older than 2.0, the model displays a notification from the Simulink Upgrade Advisor. Consider upgrading your FlightGear version using the Upgrade Advisor. 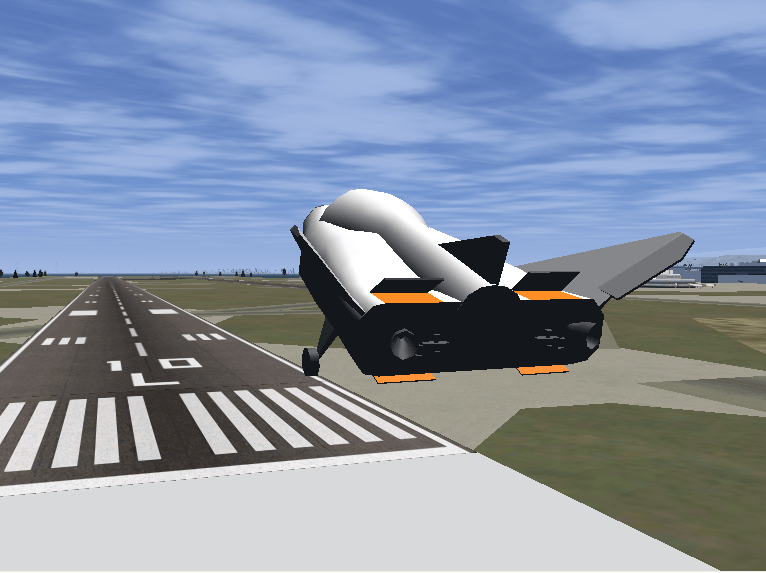 For more information, see Supported FlightGear Versions. Destination IP address of the machine running FlightGear software, specified as a scalar. Destination port of the machine running FlightGear software, specified as a scalar. Sample time specified as a scalar (–1 for inherited). The block is a masked subsystem containing principally a Pack net_fdm Packet for FlightGear block set for 6DoF inputs, a Send net_fdm Packet to FlightGear block, and a Simulation Pace block. To access the full capabilities of these blocks, use the individual corresponding blocks from the Aerospace Blockset™ library. Bowditch, N., American Practical Navigator, An Epitome of Navigation. US Navy Hydrographic Office, 1802.